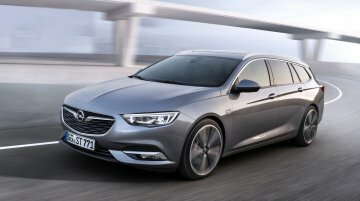 The Opel Insignia Country Tourer has made its premiere at the 2017 Frankfurt Motor Show. 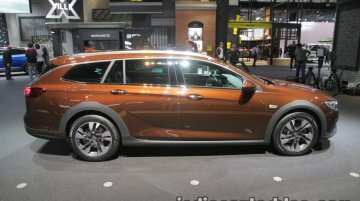 The prices for the Opel Insignia Country Tourer start from 34,885 Euros in Germany. Bookings are open,.. The Opel Insignia GSi is having its world premiere at the 2017 Frankfurt Motor Show. 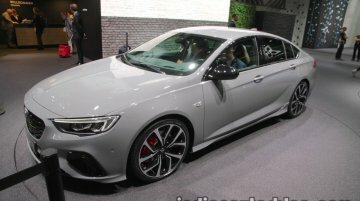 Here are the performance mid-size sedan's live images from the show. 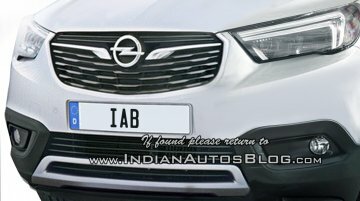 The Opel Insignia GSi gets its..
At the 2015 Frankfurt Motor Show, the latest generation Opel Astra had its world debut. 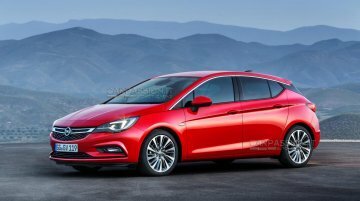 Two years later, the 2017 Opel Astra CNG is celebrating its world premiere at the 2017 Frankfurt Motor..
Opel Vivaro Life makes its debut at the IAA 2017 (Frankfurt Auto Show 20117). 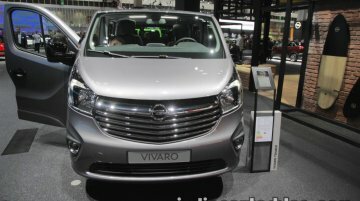 The company is calling the new variant of the van a "Motel on Wheels" as it features modifications suitable for camping.. 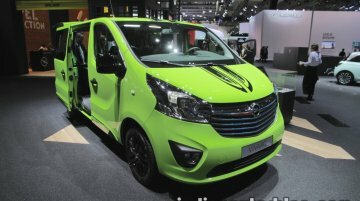 Sharing floor space with the Life variant of the Vivaro van is the Opel Vivaro Tourer. This particular variant of the van has been conceptualised to offer a business lounge like experience to its.. 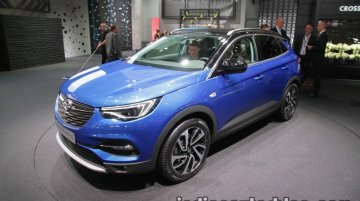 The Opel Grandland X has been launched at the 2017 Frankfurt Motor Show. The prices start from 23,700 Euros in Germany. The 1,447 mm-long, 1,844 mm wide and 1,636 mm high Grandland X gets..
GM is unable to handle continued failure and steep losses in Europe. Since 2012, GM and PSA Group have been working in alliance on three projects in Europe, and within this framework, both..
Will be launched in Europe on 17 February 2017. 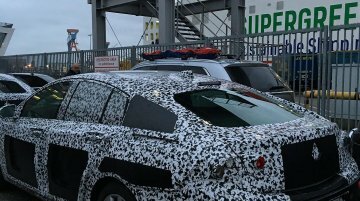 After the Opel Insignia Grand Sport's reveal last year, Opel has digitally introduced the 2017 Opel Insignia Sport Tourer before its debut at the..
Will debut in March 2017. Towards the end of 2017, the Opel Insignia Grand Sport was unveiled as the second generation of the Opel Insignia. Ahead of its world premiere at the Geneva Motor Show in..
Will slot above the Opel Mokka X. Yesterday Opel released a teaser of the Opel Crossland X, revealing half of the front-end. For a better look, we have rendered the other portion, offering the.. Hits European markets in Q4 this year. 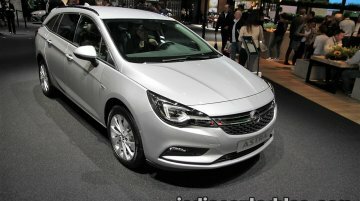 Opel introduced a facelift for the Zafira MPV, which will go on sale in European markets in Q4 this year. Here's a brief pictorial comparison of the new Zafir..
Gets 200 kg lighter. 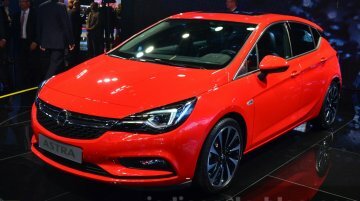 Opel showcased the eleventh generation of the Opel Astra at the 2016 Geneva Motor Show along with the Touring Car Racing concept, the Opel Astra TCR. 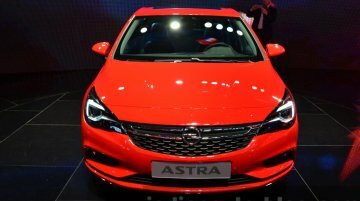 Opel Astra The Astra ben.. Introduced with new 154 hp 1.4-litre turbocharged engine. 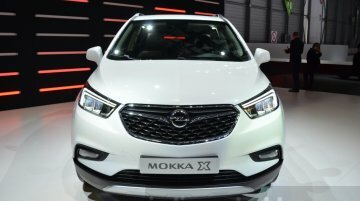 Almost four years after its world premiere at the 2012 Geneva Motor Show, the Opel Mokka is receiving a facelift at the 2016 Geneva Motor..
Weighs less than 1,000 kg. 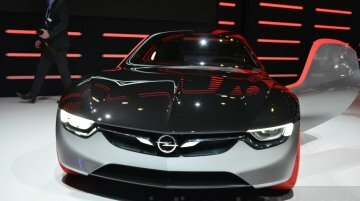 The Opel GT Concept, unveiled today at the 2016 Geneva Motor Show, is a direct descendant of the Opel GT from the sixties and the seventies, as well as the Opel Monza.. Reportedly heading for a debut at the Paris Motor Show 2016. 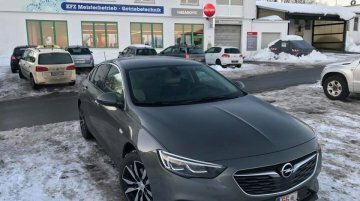 IAB reader Bils-Klinker Hannelore has sent a picture of the next generation Opel Insignia in Arjeplog (in Lapland, Sweden). The Skoda..
30,000 orders already bagged by Opel. 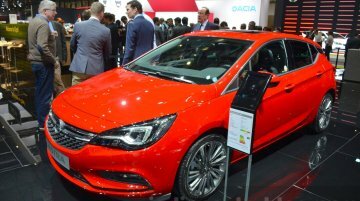 The 2016 Opel Astra has made its public premiere at the 2015 IAA in Frankfurt. It features a sportier design, more efficient platform, new engine lineup, and..
To be produced in limited numbers. 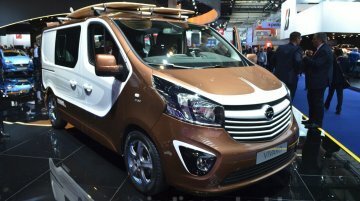 The Vauxhall Vivaro Surf Concept (and the Opel Vivaro Surf Concept) have been put on show at the 2015 IAA (Frankfurt Motor Show). To be put in production as a.. Lighter by 120 kg over the Astra J. 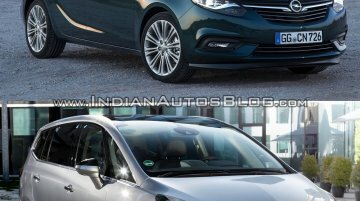 Seen here are the first images of the 2016 Opel Astra, which is announced to have its public premiere at the 2015 Frankfurt Motor Show (2015 IAA) in September..